After volvo launched their first driverless car in London, no one thought Honda is also at the corner manufacturing their own driverless car. This car has what they call gizmos that allows it to operate without the help of a human or even a driver. 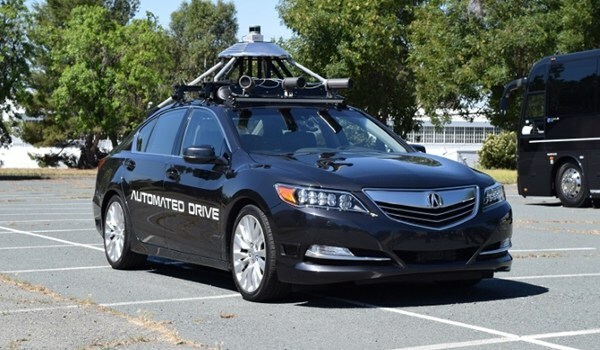 You can see testbed on the top of the car, which is packed with cameras, sensors, and AI algorithms. The car first uses a radar and lasers to detect potential road obstacles. The cameras scans the objects to ascertain if they’re pedestrians way, cars, motorcycle or any other road obstacles. This is relayed to the several GPUs and CPUs inside the car, which makes the car to brake and move on how to avoid being hit by the obstacles. The car is under a test in an abandoned park in California, as the company hasn't offered an official permit/carry go to the car to run on big real roads. Would you like to see how this car works? Kindly watch the short video below to see the car in action.